I’ve been playing around with the layout of our blog the past few days and have come up with what I think is a better format than the previous one. This allows for larger sized photos while still keeping the two column format. I can now post medium sized instead of small sized photos direct from my Smugmug account. So starting today readers should see larger photos which should be a little easier on the eyes. Hope everyone likes the changes. We took a drive up to Crescent City after setting up at Chinook RV Resort on Sunday afternoon. The sun was shining and cooler weather with showers was supposed to arrive today so we figured we may as well take advantage of a nice day. Battery Point Lighthouse was built in 1856 and is still staffed by volunteers and operational to this day. It sits on a tiny spit of land at the edge of Cresecnt City harbor that becomes an island at high tide. Tour Thru Tree sits on private property owned by Judy & Harold Del Ponte south of the town of Klamath. 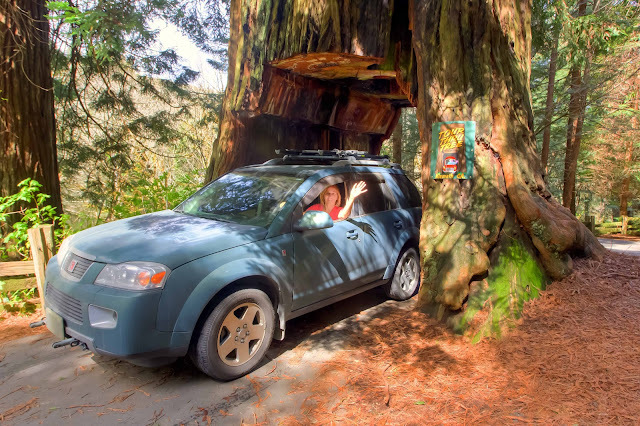 For a $5 per vehicle we got to drive up the short paved roadway around a corner and right through the tree. Pretty cool! No motorhomes allowed though! Tour-Tree tree is believed to be 735 years old! The tunnel through the tree was completed in 1976. The opening measures 7 ft 4 inches wide and 9 ft 6 inches high permitting the passage of all standard cars, vans and pickups. The tree is 15 ft in diameter and about 90 ft tall. Today was overcast but the forecasted rain never materialized. We visited Trees of Mystery just north of Klamath this morning to see the fabulous old growth redwood forests and ride the tram up the mountain some 750 ft. Trees hundreds of feet tall and one of them was 35 feet around at the base. 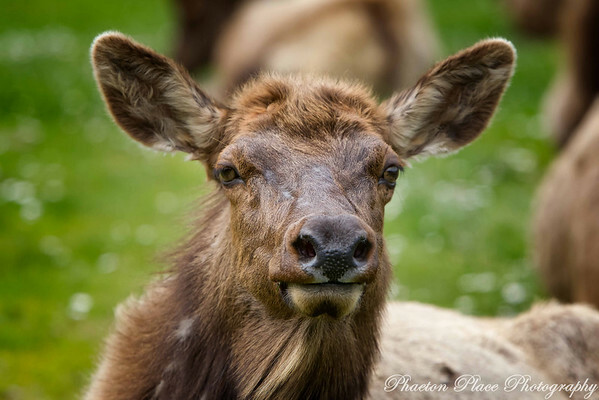 After a bit of lunch we headed south to see the Roosevelt elk herd at the old school house south of Orick. Still no rain and very little traffic. There is a small camp ground at the old school house on the east side of US-101 and there must have been about thirty elk grazing in the field. We managed to drive up right next to them in our Vue so they are definitely not afraid of vehicles. The old school house and a derelict antique fire truck caught my eye as a photographer and both begged for a little HDR consideration. You can see the results here. I’m very happy with the way the school house photo turned out as it was a little wider exposure range than normal, +3, 0, -3 EV instead of the usual +2, 0, -2 EV. We are on the road again tomorrow morning heading for Thousand Trails South Jetty in Florence, Oregon for a couple of nights. This will be our first time there. 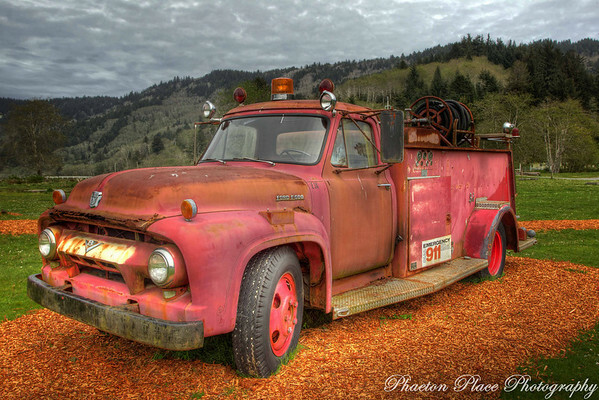 This entry was posted in California, Campgrounds, HDR, Internet, Oregon, Technology, Wildlife. I love your photos! 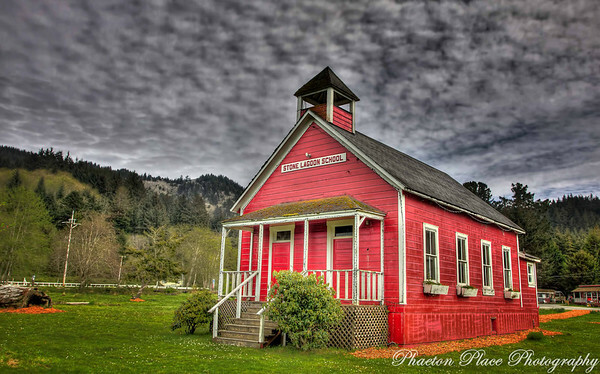 As a retired teacher, the schoolhouse is my favorite. However, the others are equally gorgeous. 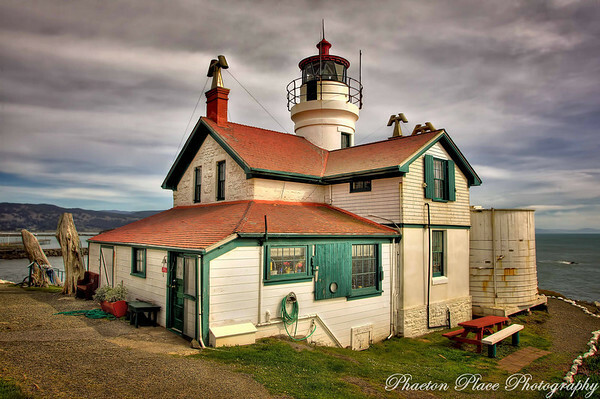 Great pictures, especially like the lighthouse. Yep, love the new format and the beautiful photos! We're following your travels very closely as we are headed for Oregon in May in our Tiffin! Something about the Oregon Coast ….I find it so calming. 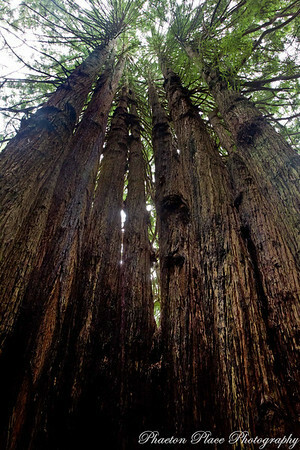 Those gentle giants of trees could be part of it…Thanks for taking us back…. Wonderful photos … as usual. I like your HDR processing as it is not over the top. Like the larger print (easier on the eyes) and larges photo size … does greater justice to your images. Personally, I'd like to see the dark background back as I prefer it for photos. The lighthouse keeper told us there is a big crane working at salvaging boats in the harbor right now and we could see it from the lighthouse. We didn't see any noticeable damage ourselves to other property. Glad you enjoy my photos. The originals can be seen on Smugmug in much larger formats than in our blog. loved your new format and the larger print under one of the pictures. You take incredible pictures. did you see any damage from the Tsunami in Crescent City?